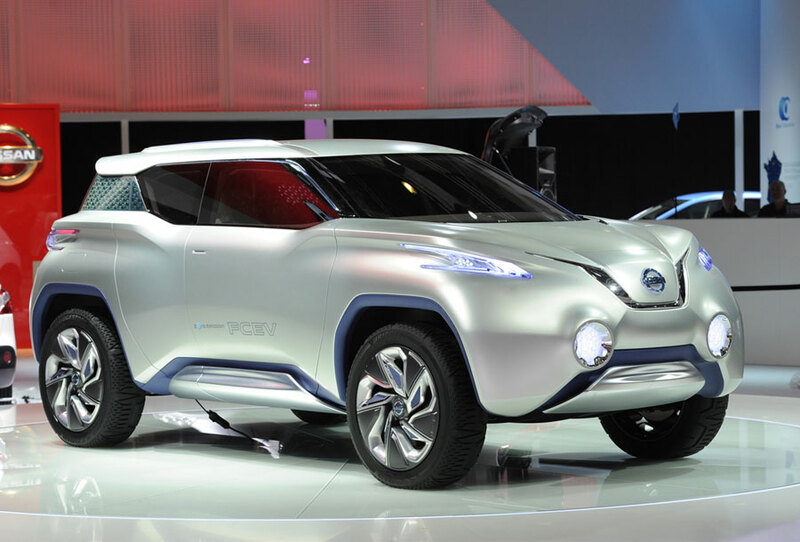 Nissan’s TeRRA SUV concept snuck through the press coverage with making much noise. 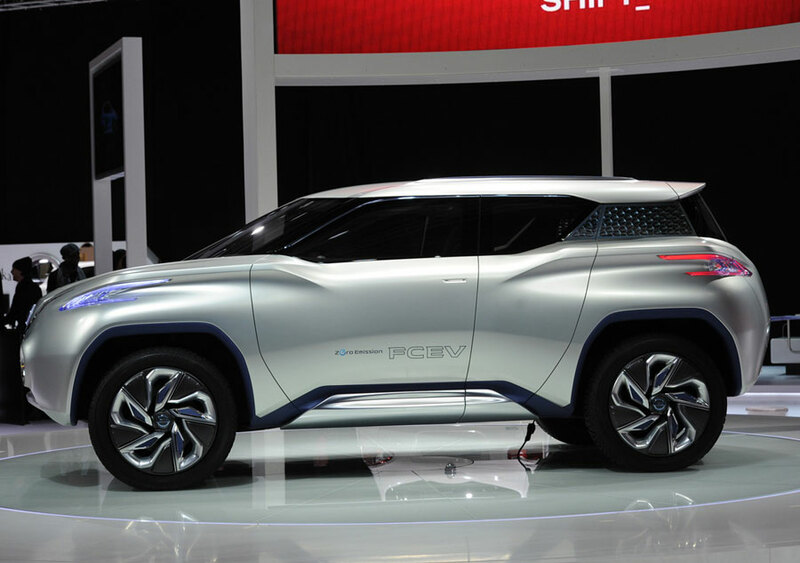 Combining the Japanese automaker’s success with urban-relevant SUVs (e.g. 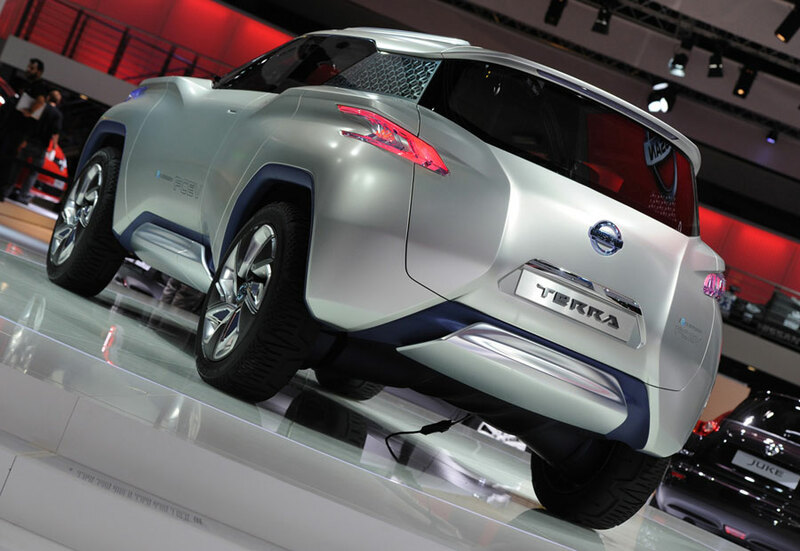 Pathfinder, Juke, Murano etc) with their focus on zero-emission technology, what makes the TeRRA SUV concept noteworthy is that it’s not limited to Nissan’s groundbreaking all-electric powertrain found in the LEAF or Infiniti LE Concept (which we’ve covered at length). 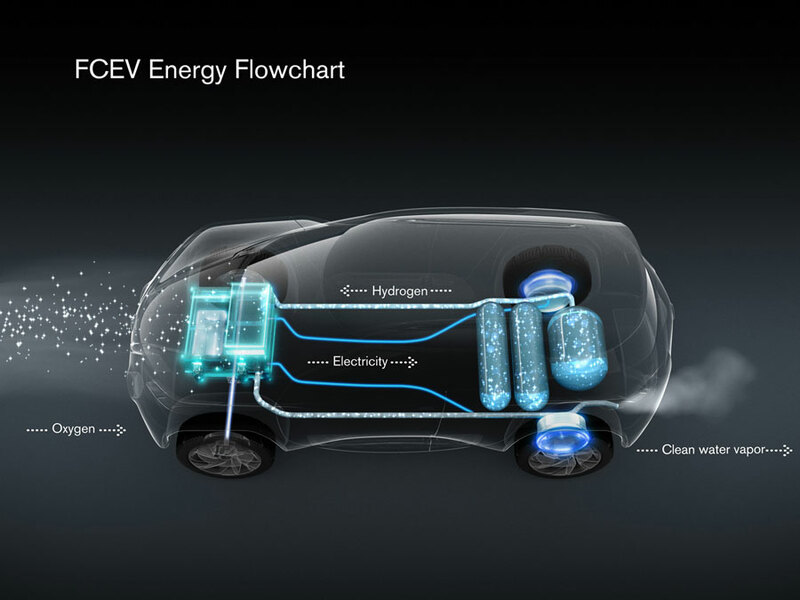 Instead, it uses the LEAF’s electric propulsion technology to power the front wheels, but compliments the system with a 2.5kW/L hydrogen fuel cell stack to power the rear. Each back wheel has its own in-wheel electric motor giving the TeRRA Concept a true 4×4 experience, yet since there’s no drive shafts between the front and rear wheels the cabin floor remains totally flat.